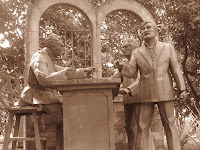 Diorama of the Martyrdom of Dr. Jose Rizal | To Be, To Be. Tutubi. 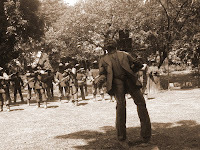 Last month, I accompanied my son on his field trip and one of the places they visited was the Luneta, where the Diorama of the Martyrdom of Dr. Jose Rizal was located. It was a lights and sound presentation, if the visit was done at night. 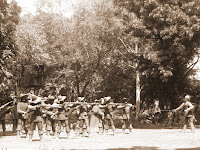 During day tours like this, a tour guide would just tell the story. 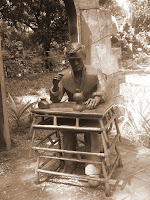 I am sorry to say that in my 30+ years of being a Filipino and a resident of Metro Manila, this is my first time to visit this diorama of Rizal's executuion. I want to share this with all of . 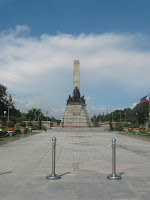 This is Luneta, where our the remains of our National Hero, Dr. Jose Rizal are located. 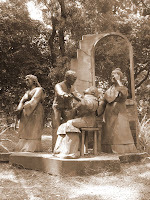 The Diorama is just at the right side of this monument. 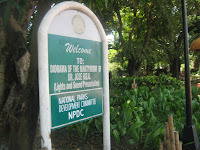 Entrance fee for day tours is P10, while P50 at the 7pm and 8pm lights and sound presentation (scheduled). A 50% discount is given to students upon presentation of their IDs. 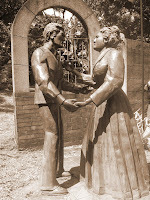 This is the entrance marker to the Diorama. 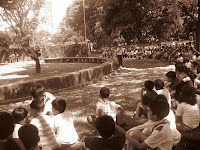 The picture below shows the kids listening to the tour guide tell the story of Dr. Jose Rizal's execution. I would really love to see the light and sound presentation. 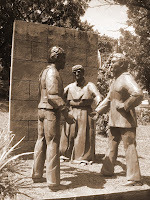 I just hope that now that the elections are once agaon very near, those who vow to run will remember the sacrifices of Dr Jose Rizal and other heroes and serve our beloved country well. Hello Dinah! Thanks for leaving a thoughtful comment on my latest post. I've been gone for quite some time. Your blog posts are very lively and your template looks great. How did you get the template? I'm interested in changing my template too. Would appreciate your advice on templates and ads. Thanks in advance! 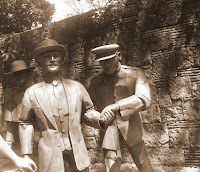 BTW, I posted my Dapitan visit last year. 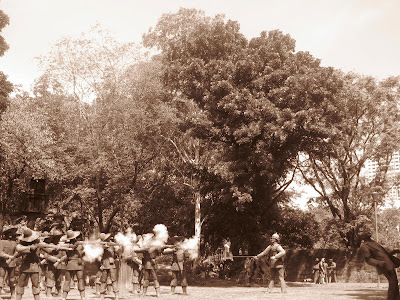 Since you like Rizaliana facts, here is my post last year. Enjoy! God bless you. @hopialikeit, thanks :-) check out bloggerbuster.com they have really nice free templates. salamat po sa pag-shshare... gandang site po..